Often dismissed by scholars as an opportunistic politician whose ideas lacked historical import, Theodore Roosevelt has been underestimated as a thinker. But to disdain Roosevelt's politics is to overlook his important and lasting contributions to the shape of modern America, says the author of this compelling new study of the 26th president of the United States. Joshua Hawley examines Roosevelt's political thought more deeply than ever before to arrive at a fully revised understanding of his legacy: Roosevelt galvanized a twenty-year period of national reform that permanently altered American politics and Americans' expectations for government, social progress, and presidents. 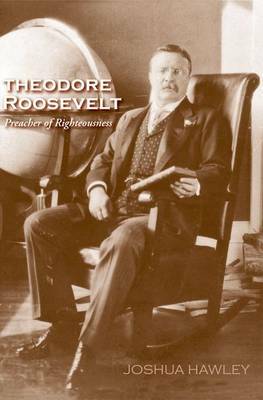 The book explores the historical context of Theodore Roosevelt's politics, its intellectual sources, its practice, and its effect on his era and our own. Hawley finds that Roosevelt developed a coherent political science centered on the theme of righteousness, and this "warrior republicanism" was what made the progressive era possible. The debates of Roosevelt's era were driven largely by his ideas, and from those debates emerged the grammar of our contemporary politics. Casting new light on the fertility and breadth of Roosevelt's thought, Hawley reveals the full extent of his achievement in twentieth-century intellectual history.